Above (clockwise from top left): Mia Bergeron, ‘Silence’, 60 x 34, Oil on Linen; Cindy Procious, ‘Where’s the Tabasco’, 12 x 16, Oil on Linen on Panel; Terry Strickland, ‘The Three Fates’, 30 x 40, Oil on Panel; Sadie Jernigan Valeri, ‘Undersea’, 16 x 20, Oil on Panel. 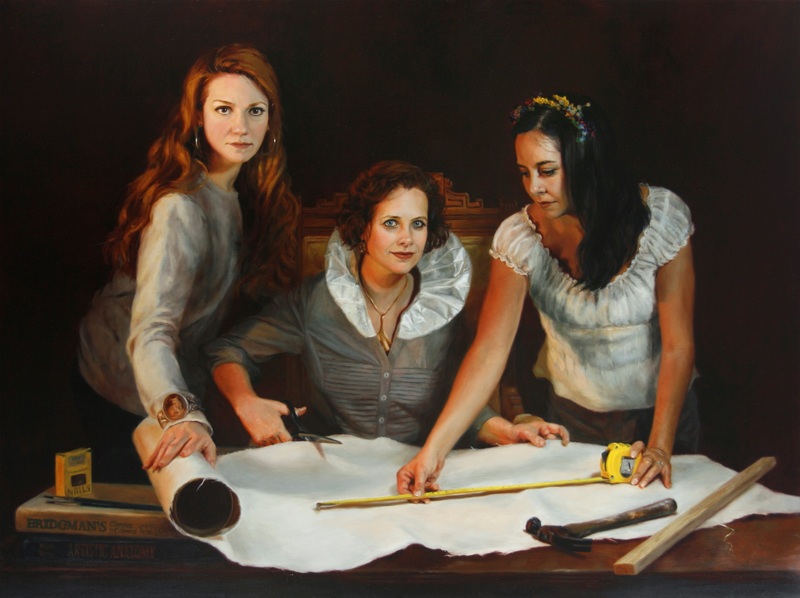 It all started back in 2009 when Sadie Jernigan Valeri, Alia El-Bermani, and Diane Feissel decided to start a blog entitled Women Painting Women devoted to highlighting contemporary women artists who specialize in painting the female figure. Above: Terry Strickland, ‘The Three Fates’, 30 x 40, Oil on Panel. All the hard work of these wonderful women paid off when in November of 2010 Robert Lange Studios hosted the first “Women Painting Women” opening. This exhibition features work from over 52 talented female artists, including our own Jennifer Balkan, Terry Strickland, and Sanna Tomac, whose subject matter for the show was strictly the female figure. Before and during the show, 12 artists descended upon Sullivan’s Island, South Carolina, just outside Charleston, to partake in a group painting excursion. The women rented a house on the beach and spent the next week living together and exploring the surrounding area with their paintbrushes. 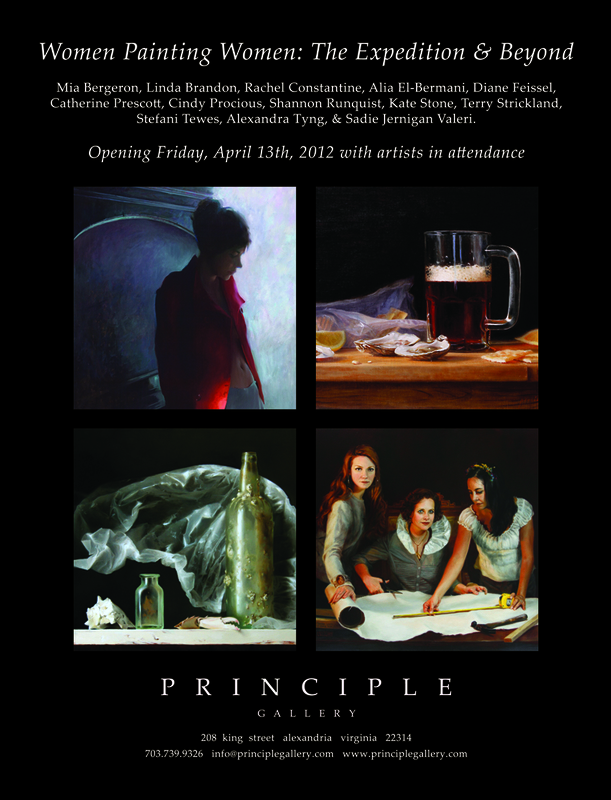 On Friday, April 13th, 2012 from 6:30-9:00pm we will be opening the wonderful culmination of this expedition in a show called “Women Painting Women: The Expedition & Beyond.” This show will feature artwork painted while on the expedition as well as new work that was inspired from the artists’ time together. All of the women continue to focus on the female figure and in this case they have been primarily influenced by each other. 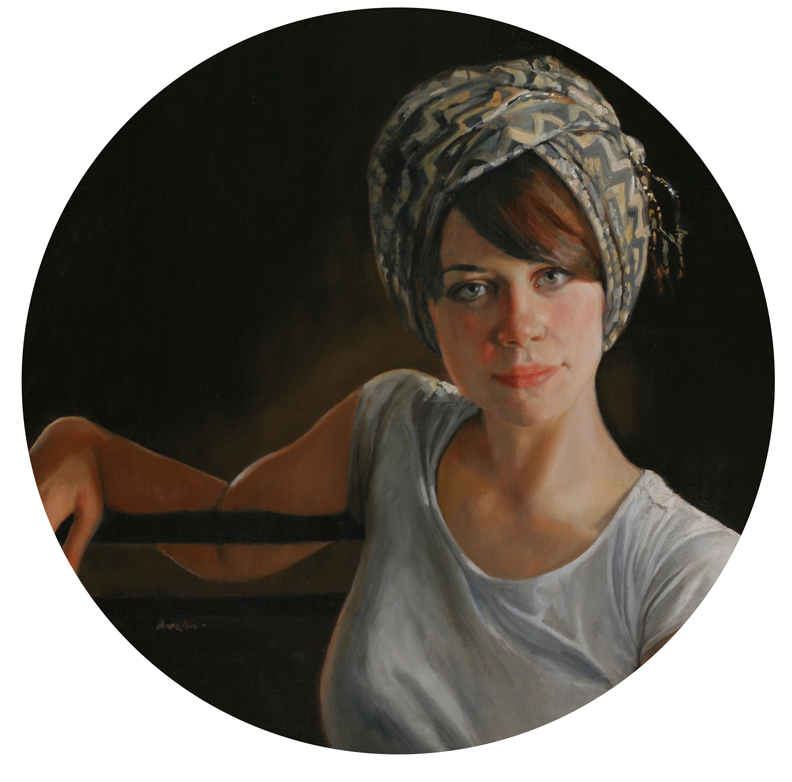 Above: Linda Tracey Brandon, ‘Mia in a White Turban’, 20 Tondo, Oil on Canvas on Panel. Twelve of the thirteen artist will be in attendance for the opening: Mia Bergeron, Linda Tracey Brandon, Rachel Constantine, Alia El-Bermani, Diane Feissel, Catherine Prescott, Cindy Procious, Shannon Runquist, Terry Strickland, Stefani Tewes, Alexandra Tyng, and Sadie Jernigan Valeri. Unfortunately, due to her distance, Kate Stone will be unable to attend the opening, but we are pleased that we will still be able to display her work. After the show, the women will be traveling to Catherine Prescott’s house to begin another expedition that we know will result in another amazing body of work. Click here to purchase an exhibition catalog. I would love to have seen this exhibition, unfortunately I live in the UK!! But I have ordered a catalogue. I’m sure it will be a fantastic opening.